Core Strength: Finding your center, adjusting your body weight to the balls of your feet, and remaining still in your shooting stance is great exercise for your core muscles, which supports proper posture. When the abdominal muscles are weak, the lower back holds additional pressure and weight from simple daily tasks like walking. Strengthening the abdominal muscles allows the weight of the upper body to be evenly distributed over the front and back, improving balance. Arm Strength: Shooting a gun requires strong, sturdy arms and hands. In order to aim and shoot your target, you must hold your upper body steady. Often new shooters do not realize the arm muscles needed to hold the gun in the proper stance to shoot accurately. 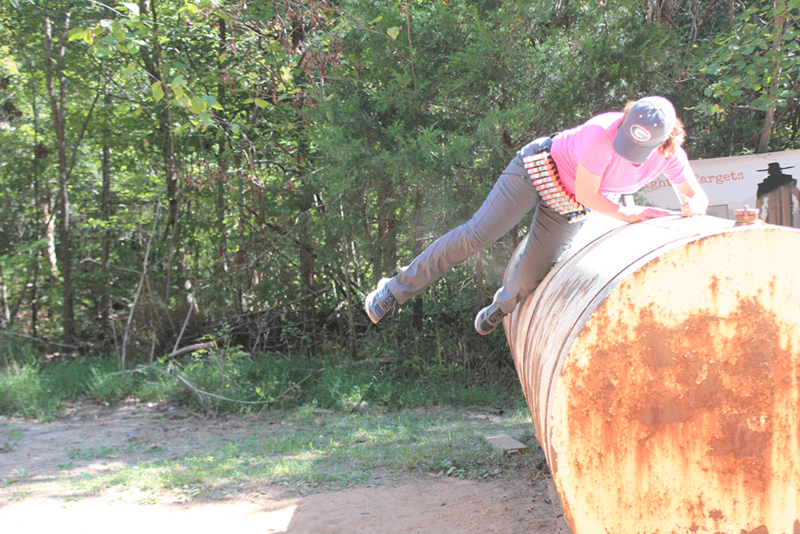 Experienced shooters will frequently take advantage of programs, such as the AG & AG Push-Up Challenge to improve your upper body strength for shooting sports. Mental Processing: Efficient problem solving is a major component of shooting. It encompasses logic (the best way to make the shot), mathematics (target distance and how to adjust point of aim as well as managing the number of rounds in the magazine for targets requiring a hit), and creative thinking (“outside the box”). An old adage says that shooting is 90% mental and 10% ability. 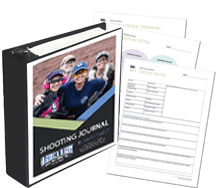 To be successful in shooting sports, an athlete must be able to first address the mental tasks at hand, and then perform the physical skills. Adrenaline: Holding a firearm, let alone firing it or competing with it, can be an exhilarating experience. Adrenaline not only temporarily boosts your immune system, it signals your liver to break down glycogen, the substance that provides your muscles with glucose, the primary source of fuel in your body. It also tells smooth muscles in the body, like bronchioles in the lungs, to relax, which can make respiration easier. Mental Focus: Keeping your eyes on focused on the front sight, while keeping the rear sight and target blurry, requires a lot of concentration. You also have to be aware of your trigger finger. The press and reset, managing recoil and following your sights allows you to call your shots. Focusing your mind from any other activities or distractions results in peak performance. Stamina: Running through stages, carrying your ammunition around your waist and chest, and in some cases slinging a rifle while holding a shotgun is intense weight training. Athletes that compete in the “run and gun” shooting sports train with vigorous workouts. Not only are you preparing to compete with heavy gear, often you must navigate over uneven terrain and challenging props. Practical shooting requires fitness and stamina to run between arrays, focus on your front sight, think about your trigger press, and control your breathing. Stress Relief: Shooting allows a person to get away from the worries of the day. You have to put aside other thoughts while you have a gun in your hand and concentrate on safety, mental processing, and physical skills. This time at the range allows an athlete to temporarily forget problems or plans and live solely in the moment. It works as a reset button to manage stress. Vision: Exercising your eyes is very important, so that you can focus in on a front sight quickly. This a fine motor skill that can be lost if not practiced frequently. Give your eyes a break from the stress of staring at computer and phone screens all day, and do simple exercises each day to focus your eyes on objects near and far. Mindset: Shooting can feel very scary and dangerous to some people; however, once you have taken the time to be trained properly, your sense of power is elevated and fear is reduced. You develop the mindset that you control the gun, and the gun does not control you. Learning to shoot is a great way to build confidence and courage, which will spill over to many areas of your life. The winning mindset believes that if you can accomplish shooting, you can do anything! Discipline: Behaving responsibly is a core value of gun owners. 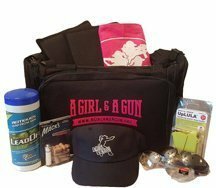 The 4 Rules of Gun Safety are always followed on and off the range. Gun owners also cultivate a mindset of personal protection and the moral/legal responsibilities that come with it. Gun safety is a lifestyle. I didn’t know the list of benefits, but for SURE, I feel great when I go shooting. Especially with the women in my chapter!